The year 2013 is coming to an end, and it is time to value how far AleaSoft has come. During this past year, AleaSoft continued to grow its outreach and improve its products and services. In addition to the variety of existing solutions prior developed by AleaSoft, in 2013 AleaSoft also created solutions for the models of N2EX (United-Kingdom) and SEM (Ireland). Moreover, our client base has consistently grown, reaching new countries such as Belgium, the Netherlands and Greece. AleaSoft has catered to a variety of clients, customizing to their specific interests. We offer energy forecasting to Transmission System Operators, Distributors, Traders, Retailers, great Consumers and Generators in both the electricity and gas industries, and as of 2013 can now also include small retailers and small combined cycle plants (CHP). Furthermore, AleaSoft underwent a great marketing rebranding process, creating a new slogan, redefining its mission and vision, and being more active in the social media. In early 2014, AleaSoft will launch its new and updated website, providing viewers with even more information via a user friendly website. In 2013, Aleasoft was a leader in its field, investing greatly in Research and Development. Its solutions have satisfied the necessities of all actors involved in the European energy market, and continue doing so. AleaSoft’s ambition is to expand its global outreach, increasing its role in the American and Asian markets. 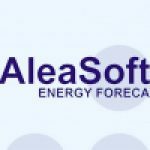 AleaSoft wishes to Empower Your Future in 2014, by providing reliable energy forecasting necessary to make decisions responsibly.